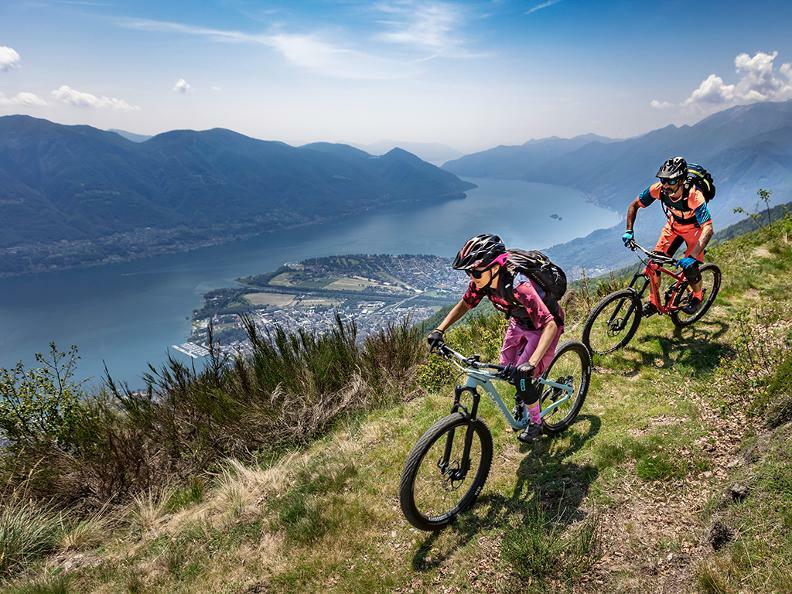 An adventurous circuit route in the surroundings of Cardada and Val Resa that starts and finishes in Locarno and presents for most parts a breath-taking view over the Lake Maggiore and the surrounding region. 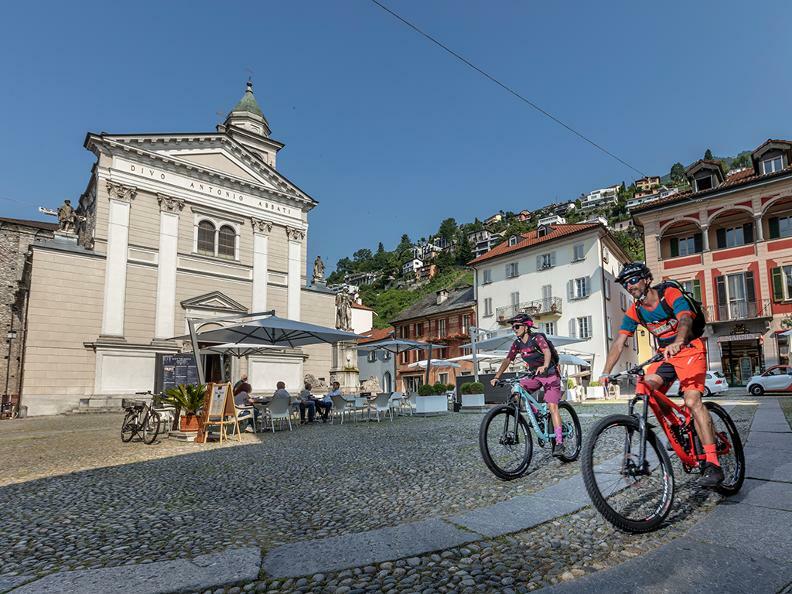 The tour starts at the SBB train station in Locarno-Muralto and the first part leads up to Monte Brè along a pleasant ascent on an asphalted road and is followed by a somewhat steeper path with a spectacular view into the Centovalli. 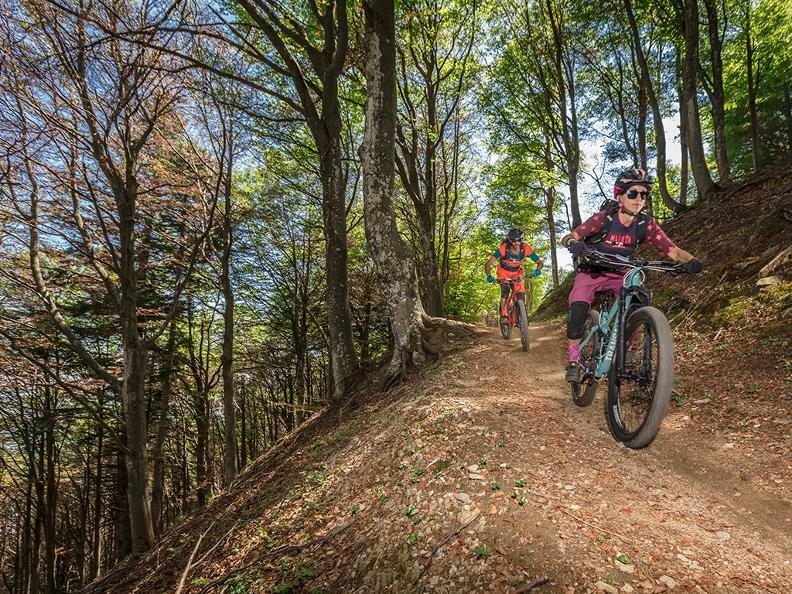 Approximately 3 km after the village Brè, the first part of the singletrack begins, at first slightly ascending then flat and flowing until the track leads to a final climb up to the Alpe Cardada. 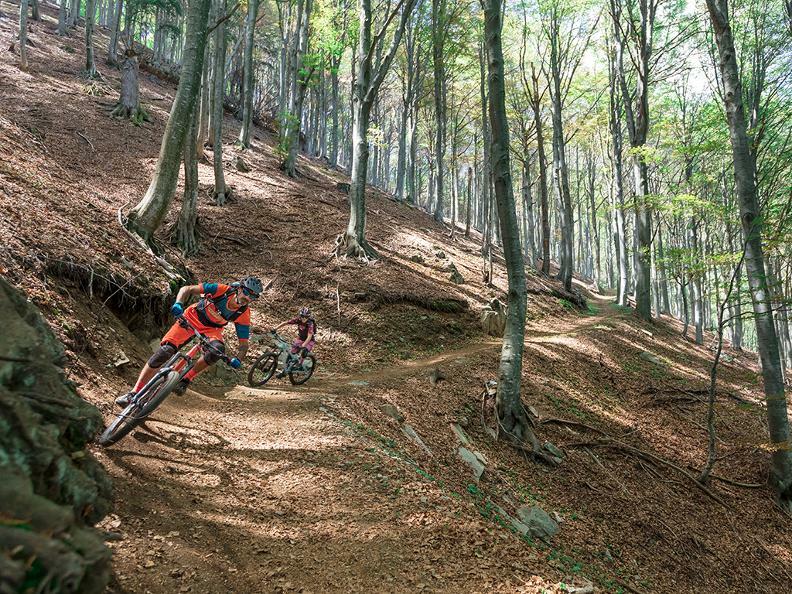 The singletrack to Val Resa is fast and leads along technically challenging serpentine twisty trails. 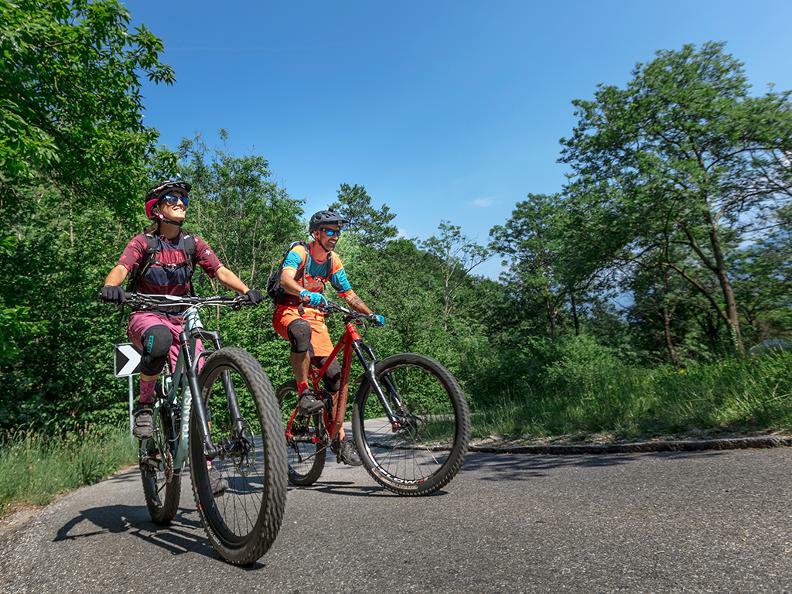 After leaving the dense forest the road proceeds along a beautiful route with panoramic views of Lake Maggiore and the town, back to the starting point. The Cardada-Val Resa route is a medium difficulty route. There are passages of varying difficulty. There are both sections with varying degrees of difficulty as well as easy and flowing sections. 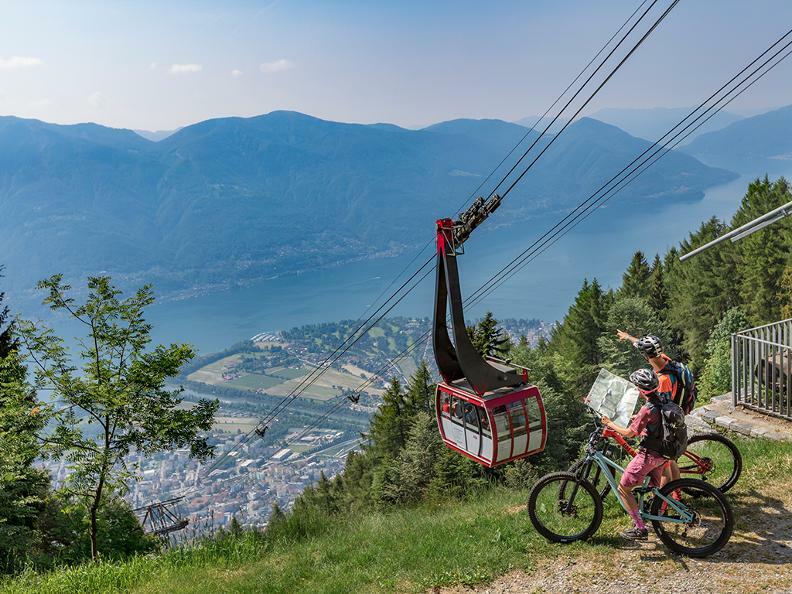 As an alternative one can reach Orselina by funicular from Locarno and then Cardada by cable car in just 5 minutes, leaving from Orselina (395 m.a.s.l.). 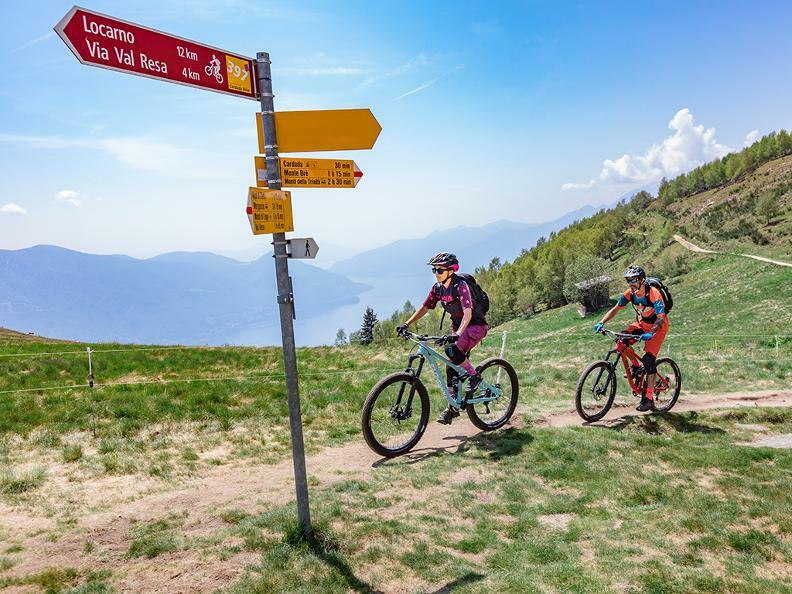 This variation is recommended to all those who want to avoid the first climb of the tour and prefer to tackle only the route to Val Resa. This itinerary is partially open to traffic, please respect the road safety rules. Easily accessible by foot from Cardada and/or Cimetta in about 20-25 minutes. Easily reached on foot from Cardada and/or from Cimetta in about 20-25 minutes along the main path.